The romantic-comedy revolving around a gay lead is already an instant classic. (SPOT.ph) With the emergence of critically acclaimed coming-of-age stories that also managed to resonate with fans (such as Call Me By Your Name and Lady Bird), one could wonder: How do these films get any better? These films, among many others, have certainly elevated the game when it comes to stories of teenagers navigating the rough waters of life. 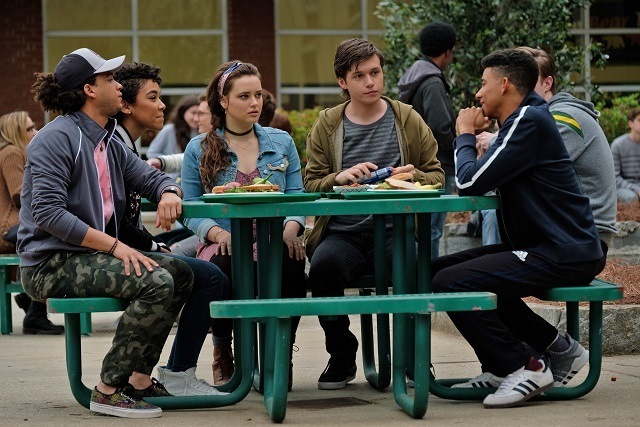 Now, in comes Love, Simon, which lives up to the trend and proves that it really does get better. 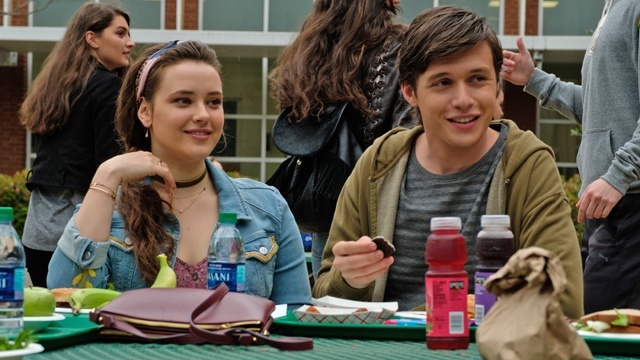 The film is adapted from the best-selling novel Simon vs. the Homo Sapiens Agenda by Becky Albertalli, and revolves around Simon Spier (Nick Robinson), a teenage boy from Atlanta, Georgia, who seems like any other. Little do they know that Simon is keeping a secret—he is closeted, and wants to stay that way until he figures out how to come out to his family and close friends. As his high-school graduation nears, Simon discovers that he is not alone in his struggles when he comes across a popular blog run anonymously by someone who is going through the same thing. A curious Simon starts an e-mail correspondence with the blogger, who uses the screen name "Blue." 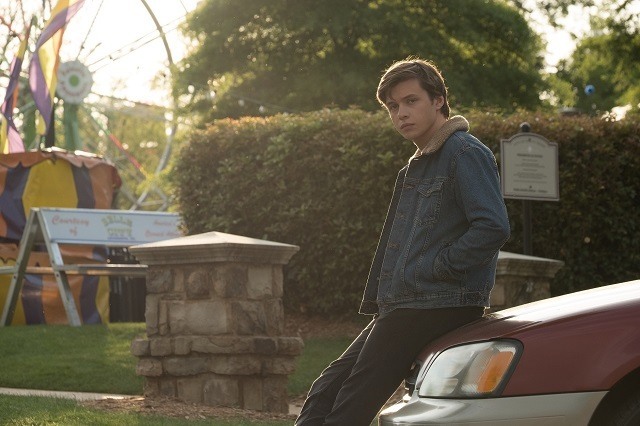 From a structural point of view, Love, Simon plays out just like any other romantic comedy aimed at a teenage audience. The film dabbles in familiar beats found in teenage movies, with classic tropes and drama included. 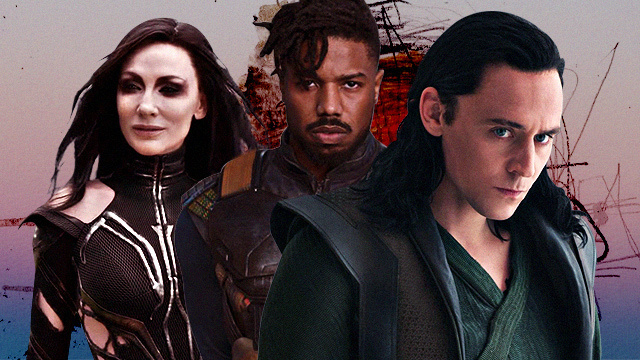 But its foray into previously uncharted waters of an LGBT-centric love story—well, at least when it comes to big-budget movies—makes all the difference in the story, and hopefully the real world beyond it. While the film is special for its noteworthy highlight of an LGBT storyline, it also takes advantage of its "typical" teenage film narrative to emphasize that being gay is not so different from being, well, straight. Many of the struggles and euphoric experiences that Simon goes through are relatable to just about anyone who watches the film. This may be in terms of having a crush and not knowing how to deal with it, being a part of a family, and even handling day-to-day interactions with friends, drama and all. This is the truth that the film presents: Whatever sexual orientation you identify with, everyone experiences ups and downs in life. It could be anyone experiencing what Simon is experiencing—it just so happens that he identifies as gay. What adds even more flavor to the already interesting and eventful story is the whodunit-esque mystery of trying to figure out Blue’s true identity. The film plays this game out in a clever way, putting character after character into the imagined presence of Blue in the narrative, and throwing off the audience until the one epic reveal that will have everyone gushing and squealing on the edge of their seats. All of this is strengthened by the film’s cast, led of course by Robinson, who plays the titular character Simon. As Simon, he is all kinds of charming, awkward, and endearing—creating a character that everyone would want to be friends with. He is supported by a stellar ensemble made up of his friends and family. This includes his tight-knit group of friends Leah (Katherine Langford from Netflix’s Thirteen Reasons Why), Nick (Jorge Lendeborg Jr.) and Abby (Alexandra Shipp). 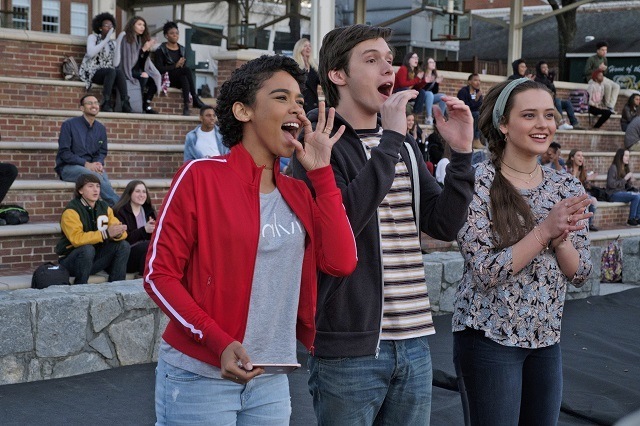 Together with their obnoxious schoolmate Martin (Logan Miller), they make up Simon’s school environment and peer-group. 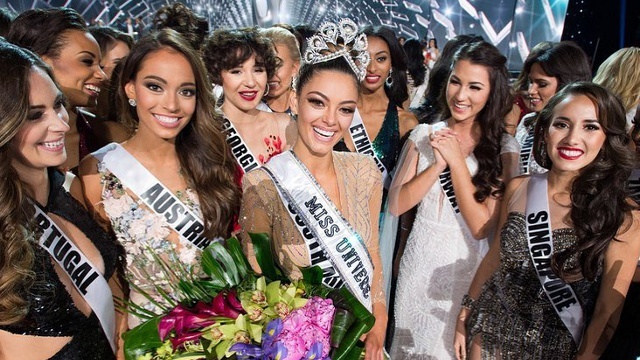 This group of people doesn't just fit stereotypical cookie-cutter characters in a high-school setting. They have their own distinct characterizations. Each of them has problems of their own, because it is high school after all—but together, they feel like they’re your actual group of friends. Simon’s family also plays a big part in his story. His parents Jack (Josh Duhamel) and Emily (Jennifer Garner), along with his sister Nora (Talitha Bateman) all have so much chemistry with each other, you’d think they were an actual well-functioning (not to mention good-looking) family. It’s no surprise that this film is well put-together with so many great movie moments from beginning to end, because director Greg Berlanti is no stranger to teen fare on television and film. His experience as producer/writer/director in pop-culture favorites such as Dawson’s Creek, the CW’s DC Superhero Universe, and more recently, Riverdale, all help in crafting Simon’s story. Berlanti makes the story and look feel as realistic as possible but it's further amplified by the meticulous crafting of the film’s production design, which gives more depth to the characters and their world. Music plays a big part in the film as well, providing the perfect soundtrack as produced by Bleachers frontman Jack Antonoff (featuring music from artists such as Troye Sivan, The 1975, Khalid, and many more). Simply put, Love, Simon has a powerful message that is very relatable and inspiring for people from all walks of life; Simon’s story could be yours, your friend’s, your family’s, or anyone around you. But this film is especially important for those who have long been waiting for an empowering representation of LGBT struggles. It may just be an instant classic in the coming-of-age film genre, and likely a go-to film for generations to come. 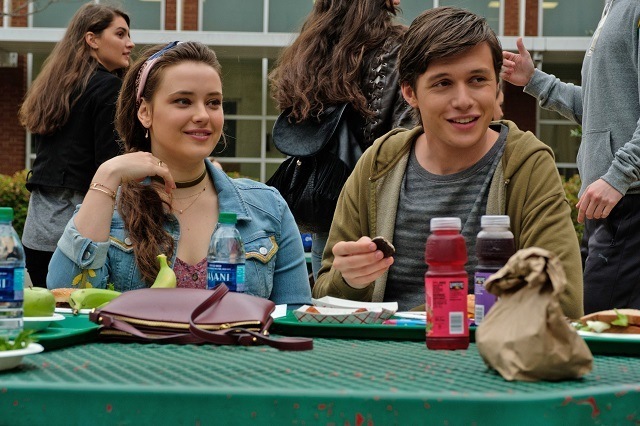 Love, Simon has sneak previews on April 30 and May 1 in select cinemas before it screens nationwide on May 9. It is rated R-13 by the MTRCB.